then started back pain and then hip pain and now legs and arm muscles etc. My B12 level is above 1000 but still i took neurobin injections for numbness&tingling and now it is gone. Very interesting problems. I would definitely say that if you had numbness and pain that went away when you took Vitamin B12, that it was definitely Vitamin B12 deficiency regardless of what your levels said. Then please read my page on Pain While Taking Vitamin D to see why temporary bone pain is not uncommon with vitamin d treatment. D regulates calcium. Your doctor is saying your calcium is "good". Could it actually be high? If it is high - 9-10 or more and you also have high PTH you could have hyperparathyroidism. Increased D will cause hypocalcemia (high calcium) if you have hyperparathryoidism. Hypocalcemia CAUSES BONE PAIN and calcium deposits in muscle and tissue. Get your calcium levels and ask for a PTH test. If they are both high and your doctor says nothing - go to a good endocrinologist with these tests. WHAT NO ONE IS SAYING ABOUT D is that certain individuals with high calcium should not be taking it. I'M saying that!!! 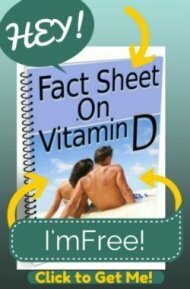 Please read my page on Vitamin D Contraindications. Get your magnesium levels checked. D will increase calcium and without the right amount of magnesium you could be getting calcium deposits. Magnesium is supposed to distribute calcium where it belongs - to your bones. Without the proper amount of magnesium calcium can be going to muscle and veins and organs (kidney stones) and causing damage. I have had terrible Pain While Taking Vitamin D. My knees and hips especially. I just found out I am deficient in Magnesium! I've read that magnesium can dissolve unwanted deposits. Going to get that fixed and try D again later since I am still low in d. Also HYPERPARATHYROIDISM causes high calcium so when you take D it can further elevate the calcium in your system. Get that checked out. You are not alone. D DEFINITELY can cause a LOT more pain for some people like you and me. Hope this helps a little or at least gives you something to go on. Unfortunately, part of the problem with our medical system is that even when it DOES check for many things, there tests are inaccurate and most often come back showing no problems. are all correct, she can still have one or all of those problems EVEN IF the tests for them come back negative. So, then she is in a position of having been tested for those problem and been told, possibly wrongly, that she does NOT have these problems. Very frustrating- and everyone needs to become their own detective in order to find problems like these. On my own I've discovered that not eating enough copper can cause bone pain and hypercalcemia. You need enough vitamin a for your body to actually utilize copper. Copper is the necessary unspoken nutrient needed for bones. Be very careful with vitamin a. Never take it as a supplement. Only obtain vitamin a through nature, not supplements. Make sure cod liver oil has only natural a. Supplements are very toxic. People on a low calcium diet may also feel pain that will not go away without extra calcium. Also it may be best if people ate 3 cans of sardines weekly for their d needs. 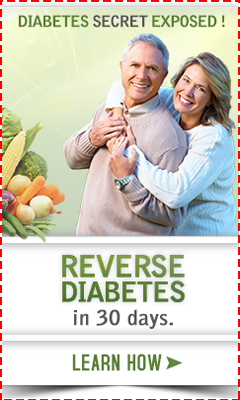 Though the d levels are much lower than in supplements they are much better utilized and translate into a higher dosage plus you have most if not all of the natural cofactors in natural form. Praise Jesus Christ.